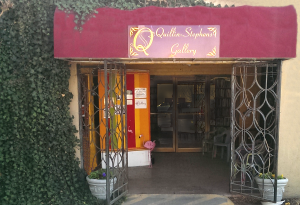 Sally Quillin, Mike Stephens, Aline Fister and Jay Savage would like to welcome you to the Quillin-Stephens Gallery website. We hope that you enjoy looking around our virtual gallery, where you will see just a small amount of the items that we have to offer at our brick and mortar gallery in Las Cruces, NM. If you live in Las Cruces or the surrounding area we invite you to drop by for a visit and see the wonderful and diverse art work and gift items that are available there. If you are not from the area, but are ever passing through Las Cruces we hope that you will also accept our invitation to stop in and visit with us. Make sure that you bookmark our page and drop in on the website regularly as we will be adding new events, information about our monthly guest artists and of course our latest artworks. If you would like to receive our monthly newsletter, by email, then send us your email using the contact us and we will add you to our list. Welcome again to the Quillin-Stephens Gallery.